Ever fancied walking barefoot across blistering hot coals? No, neither have we. Not on a Monday afternoon, anyway. 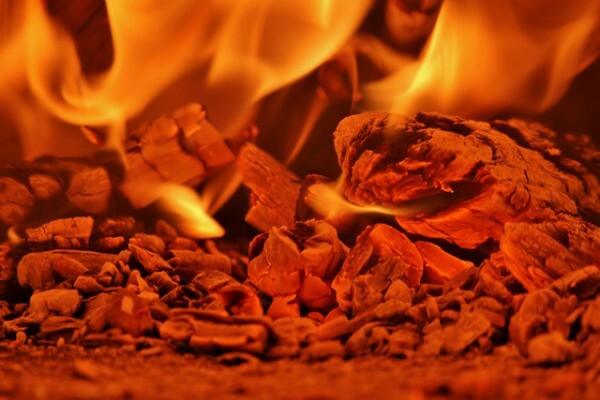 But in several villages in Northern Greece and Southern Bulgaria, the ancient tradition of fire walking, known as the Anastenaria (or “nestinarstvo” in Bulgaria), is incredibly popular. It happens every year on the 21st May – that’s tomorrow – so here’s a quick guide to everything you need to know about this crazy ritual. The ceremony dates back to Pagan times and is attached to the Christian faith. The communities that celebrate the Anastenaria descend from Eastern Thrace, which is part of modern Turkey. When refugees moved to Greece during the Balkan Wars of 1911-12, they brought this fire walking tradition with them. Today, anyone taking part in the festival believes that only those who lack faith will be burnt by the fire – many walkers escape without any injury and feel no pain at all*. If you’re tempted to take part, you’ll have to head to either the south of Bulgaria or one of the five villages in northern Greece that still celebrate the Anastenaria every year; Ayia Eleni, Langadas, Mavrolefke, Kerkine and Melike. The event is open to the public, so anyone can have a go if they’re brave enough. Daring villagers taking part in the festival prepare themselves by getting into a trance-like state through hours of religious dancing to the music of the Thracian lyre and drum. On the morning of May 21st, participants gather at the konaki (a special shrine) to sacrifice animals and be blessed with holy water. Holy icons from each community of the Anastenaria are kept at the konaki and wrapped in red handkerchiefs. The fire walking takes place at night, after a huge fire is lit and is left to die down until just the scorching hot coals remain. After dancing around the fire in a circle with their holy icons, it’s time for the main event. Locals are called to walk and dance barefooted over the coals in order to be ‘seized’ by the saints. …the ritual originated in the 13th century when a church in Kosti, now in Bulgaria, caught fire. Apparently, villagers could hear the voices of the saints calling for help from inside the burning building, and braved the flames to rescue them. As they were protected by the saints, none of the villagers were harmed by the fire. Fancy seeing it for yourself? Head on over to our main site to browse our cheap Greece getaways and Bulgaria bargains. What’s the craziest thing you’ve seen abroad?